Bipolar disorder is a lifelong challenge, but it doesn’t have to rule your life. Join the many tens of thousands of readers who have used the science-based tools in this book to achieve greater balance and get the most out of treatment. 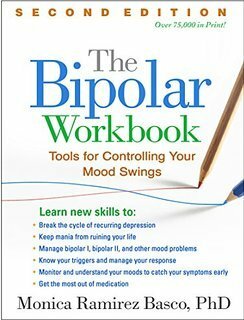 Leading expert Dr. Monica Ramirez Basco helps you understand the nature of bipolar illness and recognize the early warning signs of mood swings. Step-by-step exercises (you can download and print additional copies of the forms as needed) give you greater insight into your own triggers, vulnerabilities, and strengths. Dr. Basco guides you to build the particular skills you need to withstand the seductive pull of manic episodes and escape the paralysis of depression. You’ll also learn key strategies for managing stress, making healthy decisions, and solving problems. Vivid stories and examples illustrate how to put the techniques into action. Significantly revised, the second edition features a new structure, more succinct chapters, and streamlined exercises.